The dreaded one minute pitch. Love it or hate it – having a clear and compelling one minute ‘elevator’ or sales pitch prepared and practised can make all the difference to whether your networking efforts are effective or not. Networking is a marketing activity just like blogging, doing videos, social media, having a Facebook group, running taster sessions or conducting sales conversations and the one minite pitch is key to making networking effective. So, in the same way, as you’d approach any other marketing activity, you should be clear on what your goal is and be focusing on how to make your time, energy and money bring you the biggest return, while doing it in a way that feels good to you. In case you’ve not been to a networking event, the 1-minute pitch (aka, the US term ‘elevator pitch’ which I hate) is your opportunity to talk about your business. It is often delivered with the full attention of the whole group, or it is sometimes done speed dating style where you’ll do it several times 1-2-1. Just one minute, once. That’s it. You get to listen to other people’s pitches while you wait your turn, often with the nerves building and having you running over and over in your head what you’re going to say – which prevents you from being fully present and listening to other people. Unless you get to go first and then you can relax and listen! Either way, it is your chance to introduce your business and make the most of the networking event. From perhaps a whole morning spent attending a networking event, you essentially get 1-minute to address the whole room and create enough interest in you and your business, to lead to longer conversations and to open up more opportunities to connect and build relationships. You probably won’t ‘sell’ much directly off the back of your 1-minute introduction (although it is totally possible and I’ve done it often). It is first and foremost an introduction to you and your business which should lead to people wanting to know more. It is your chance to clearly communicate what you do and open up more dialogue. You want to get the right people (your ideal clients or those who have an ideal client in mind for you) to want to know more afterwards. So, the clearer you are on what you do, who you help and with what, the easier it will be to get that message across to other people. If people aren’t clear on this from your introduction then they are at a loss as to how they can help you, how you can help them or who they can put you in touch with. If your pitch is confusing in any way, people will, unfortunately, switch off. Your networking efforts will likely be wasted. I asked experienced networkers in my networks on Linked In and Facebook to tell me what they felt was the most important thing when listening to someone else’s pitch and I had some fab answers if you want to find those posts. Here are the three main areas they identified, and some tips from me on how you can ensure you’re doing it well. People want a one minute pitch to be clear, so at the end, they clearly understand what it is the person does and how they can make a difference to either the people in the room or someone they know. The people listening to you genuinely want to know exactly what you do and why you’re any good or different to anyone else. In order to be clear, you need to work carefully on the wording, ensuring you’re including all the relevant elements the audience needs to know and be practised in getting the right information across clearly. 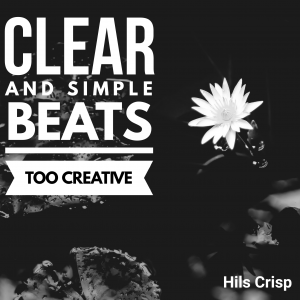 This includes not trying to include too much information or being too clever or creative. So, you need a well-structured pitch, that’s not too waffley. Oh and one bug-bear is people who don’t stick to the time given (usually one minute) and who go over and keep on talking. They felt this was disrespectful and self-indulgent, be warned! Confidence was felt to be important by many who responded, comments included “if they’re not confident in their business, how can I be confident in what they do?” and “if you see they’re not totally convinced by what they’re saying – argh!” However, some people said that confidence in speaking wasn’t so important (great news for the more shy people among us) but they did want to hear the person being confident in what they’re talking about, ie what they do. Elements of confidence are things like having presence, making good eye contact, having enough volume and talking slowly and steadily (ie not too fast, which is a common mistake mostly due to nervousness but also because we want to fit as much information in the minute as possible). Talking too fast can leave the audience totally missing the words and meaning of what’s being shared. Best to say fewer words and have them all understood. 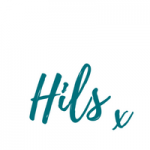 I have been helping women improve their authentic confidence for over 4 years through workshops and coaching so I could write or talk about this topic for a long time! What I will say here is that confidence can be learned and developed and any issues with confidence can be overcome with the right tools and inner work. Plus practice really makes a huge difference, so if you can be brave enough to go and try, the first time will likely be the hardest and with practice (and help, see below) you should improve too. It’s important to be engaging (in whatever way works for you) because most of the time, the audience are thinking more about their own pitch (especially if they haven’t gone yet) so you do need to work to grab their attention! Many people who answered my post mentioned different things that essentially make the pitch engaging. Such as; being passionate about and believing in what they do, being or saying something a bit different or quirky, using humour, sharing a good story or anecdote about how they’ve helped someone which can give context easily or saying something that helps them see things differently. To be engaging, especially if you network frequently it’s important to not always use the same words and reel off verbatim the pitch you’ve created, this can create a very boring one minute pitch and will cause the audience to switch off. Also, don’t (or try not to) read from a piece of paper. Best to remember it off by heart and actually to speak from your heart. If you would like some deeper help with creating a clear, engaging pitch and how to deliver it confidently, then do check out my workshop in May which will totally help you do that! 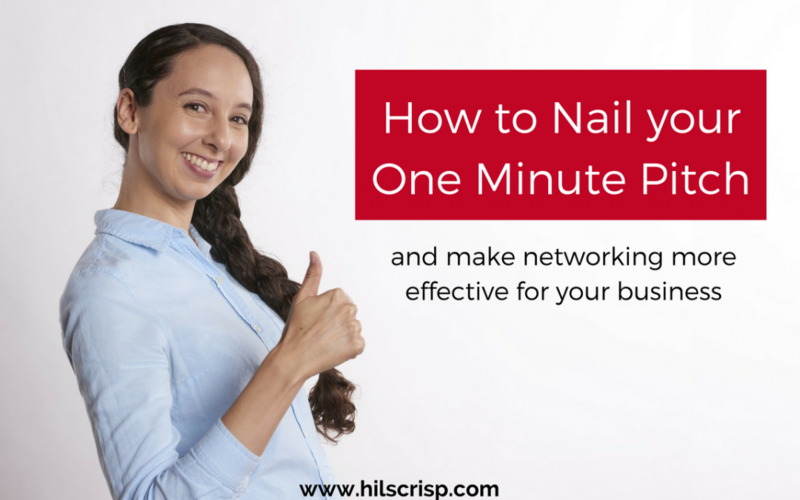 Make your 1 minute pitch count at networking by making it clear, engaging and delivering it with confidence. Apparently, a 1-minute pitch should be clear enough for a 7-year-old to understand. Now I think 7 is a bit young because they just may not understand aspects of your industry or business. However, I think it’s still a valid rule, but perhaps think of a 13-year-old instead. Would they understand it if you said it to them? After each networking event ask yourself, what results you got. Did anyone come and chat to you about what you do in the open networking bit or at the end? Did anyone get in touch afterwards? Then think about what it was about that particular pitch that worked or didn’t work. You could ask a trusted business friend in attendance too, how they found it – was it clear, engaging and confident? Keep what worked and re-work the rest! Would you like to nail your one minute pitch? If you’re in Bristol then come along to my workshop in May where you’ll get help in confidently introducing your business in just one minute. You’ll do some work around the relevant terms you need to include based on who your ideal clients are, then craft a solid one minute pitch and learn how it can be adapted. Then you’ll get some speaker tips and practise delivering it to a small good with constructive feedback before practising it in front of the group.